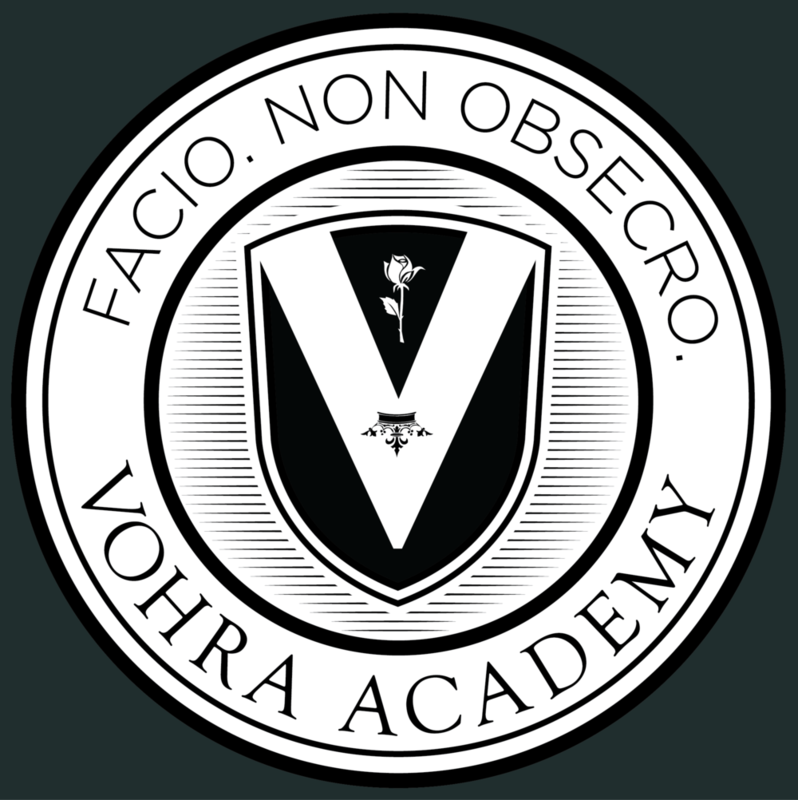 Vohra Academy is composed of three levels or “schools”: Alpha, Beta, and Gamma. Alpha is the first level, and Gamma is the final, highest level. Most new students begin in our pre-Alpha program. Each school has a different theme, dress code, and style. Inspired by the elite academies of the 1800s and early 1900s, Alpha comprises a rigorous and traditional liberal education. Students begin their thorough study of Western and Eastern civilization through mathematics, history, philosophy, science, and social science. Inspired by royal and imperial tutors over the last three millennia, Beta is a program designed to turn you into a formidable force in a brutally competitive global economy. Even today, many companies are economically larger than entire countries, and this trend will continue. Beta develops the skills needed to dominate hierarchies, or to start businesses of your own. This program is inspired by the geniuses of history, whose incisive minds shattered the most basic assumptions of social and scientific reality. This is an academic program beyond most colleges. To complete Gamma, students must complete all coursework and demonstrate marked independence in the pursuit of excellence. Most new students begin with Pre-Alpha. In Pre-Alpha, you will develop the prerequisites for the intensive study that begins at the Alpha level. You will master the basics of arithmetic and algebra, critical reading, and grammar. Pre-Alpha also develops the attention and focus needed for more advanced levels. Pre-Alpha training can last from a few weeks to 18 months. Once you demonstrate mastery of those topics, your Alpha training begins. Grades at Vohra Academy are based on your percentage scores on standardized tests. For example, if you get a 4 out of 5 on the AP biology exam, your grade is an 80%. You can retake any test as many times as you like, and your grade will be retroactively changed. There is no assigned homework at Vohra Academy. Most work is done during our intensive morning and evening classes. Outside of class, we encourage students to pursue independent study, intensive athletics, music, writing, or entrepreneurship. If you attend Vohra, you are literally attending a school created by one of the most ruthless college strategists in the country, and the author of Lies, Damned Lies, and College Admissions. You will have every possible advantage for college admissions. Click here to learn more.